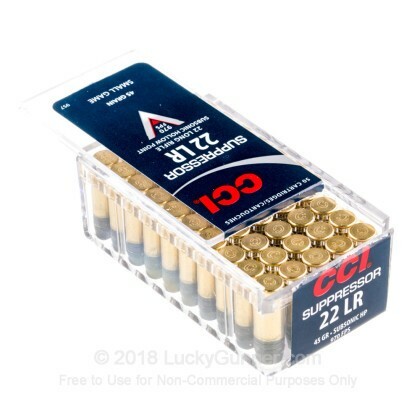 This 22 LR CCI ammunition is designed for use in a firearm with a suppressor, resulting in almost no noise when fired. If you don't have a suppressor, no worries, because this ammo is sub-sonic and will still be quieter than super-sonic rounds. 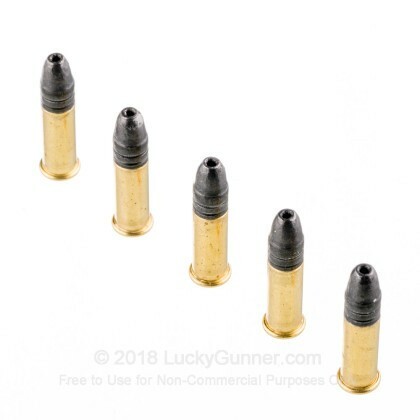 These rounds are a great choice for range training, but can be used for hunting small game and varmint hunting, ranging from rabbits to ground hogs. 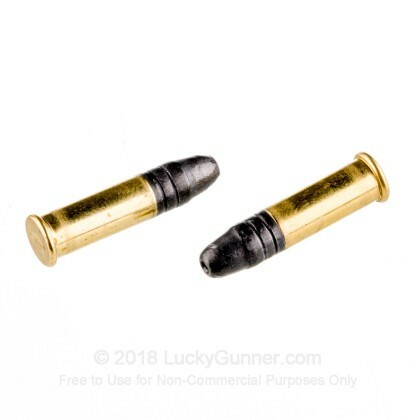 Each round contains a lead hollow point bullet for maximum penetration and expansion, leading to larger wound cavities.This ammunition is rimfire primed, new, and non-corrosive. 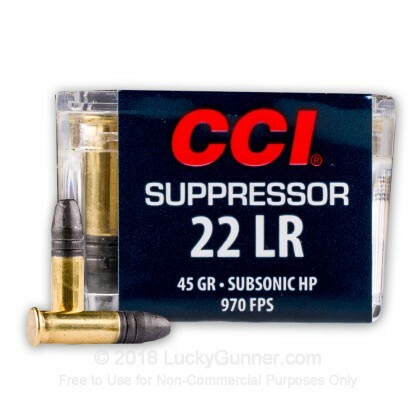 CCI develops some of the most excellent rimfire ammunition on the market. CCI is a member of Vista Outdoors - a leader manufacturer of consumer products in outdoor recreation. 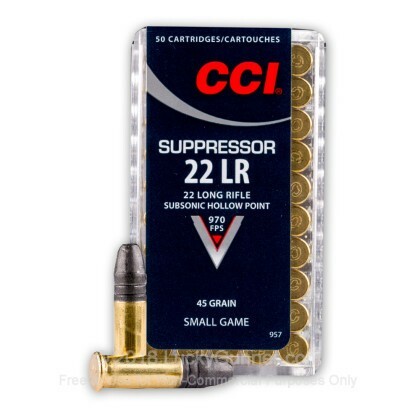 Shop the best and get your 22 LR rimfire ammunition from CCI. Very quiet ammo, great for target and dispatching pests and small game while staying stealthy. 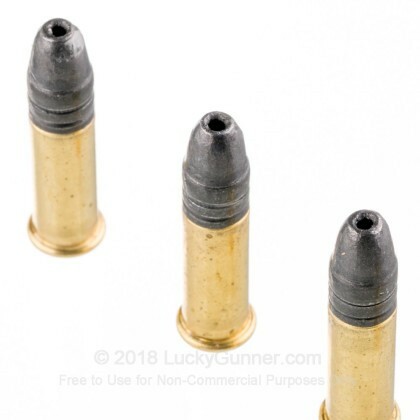 I did have a few failures when run thru my s&w mp15-22, not the fault of the ammo, for best reliability I would use these with a bolt/ pump/ lever action , as subsonic ammo may not cycle well in a semi auto. S& w mp15-22 is very reliable and fun rifle to shoot, just stating my experience. I had a few jams out of say 200 or so rounds, so not that bad. My marlin model 60 shot these nicely, as well as Henry lever action . Great for squirrels, vermin etc, or just plinking in yard without disturbing neighbors. Functions perfect in my AR15 22lr conversion kit. Works great in my Ruger 22/45. No FTF or FTE.